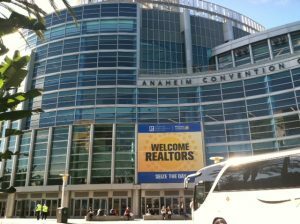 John McGeough and Anthony Lamacchia attended the National Association of Realtors Annual Convention in Anaheim, California, this past weekend to defend the Mortgage Interest Deduction and other critical issues in the current real estate market. They participated in meetings focused on critical real estate topics such as extending the 2007 Mortgage Relief Act, set to expire December 2012, which allows taxpayers to exclude income from the cancellation of debt on their principal residence. The Mortgage Interest Deduction has been a part of the federal tax code for almost a hundred years. 65% of families currently claiming the mortgage interest deduction earn less than $100,000 per year; 91% earn less than $200,000 annually. It saves families an average of more than $3000 a year, money that is often spent on living expenses, home improvements, and other items that actually help stimulate the economy. The Mortgage Interest Deduction affects everyone, even those who don’t yet own a home. Market analysts believe getting rid of the Mortgage Interest Deduction would cause property values to decline by as much as 15%. And when home values fall, tax revenues follow suit. This, in turn, could cause property taxes to go up and if you rent, landlords will have to raise rents to make up for the loss. The Mortgage Interest Deduction saves homeowners thousands of dollars. For instance, if you bought a home last year with a $200,000, 30-year, 5% fixed-rate mortgage and you’re in a 25% tax bracket, you’d save about $2,500 from the mortgage interest deduction alone in the first year you own your home. Lamacchia is a new member of the Realtor Political Action Committee (RPAC), which recognized him in their big screen display at a Convention event held at the Angel Stadium. The RPAC along with the NAR Government Affairs Team has defended the Mortgage Interest Deduction in the past. McGeough and Lamacchia hope their involvement in these discussions will ensure no changes are made to the Mortgage Interest Deduction. “We applaud the NAR government affairs team and the RPAC for their relentless work fighting for homeowners and Realtors in these important causes,” says John McGeough. Some of the major mortgage lenders had large booths set up at the convention including Bank of America, JP Morgan Chase, PNC and Wells Fargo. Their primary focus was building their home mortgage relationships with real estate agents, but Bank of America also set up a team of short sale escalation negotiators on site to assist Realtors with any short sales they may be having trouble with. The Greater Boston Association of Realtors and the Massachusetts Association of Realtors both held receptions on separate nights at the convention. “It was nice to be able to spend some time talking with many of our fellow Realtors who we do business with,” says Lamacchia. “It was a productive 3 days; we always seem to gain insight when we travel to these events. We have been getting more and more involved with NAR’s government affairs committee and it is proving to be worth it as they are a great group of people,” says McGeough. The National Association of Realtors Annual Conference held more than 100 education sessions, featuring nationally-recognized speakers, trainers, and industry experts, to discuss critical issues of value to Realtors. 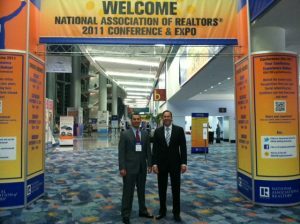 Over 18,000 Realtors from across the country and some from around the world attended.